Puts the dollar sell-off (commodities and gold are ripping) and risk-off (financials are sliding, Treasuries are rocking) in perspective. This time around we've seen a remarkable recovery in risk assets, especially REITs (from 4th to the bottom to the top) and Financials (from the bottom to 4th from the top). 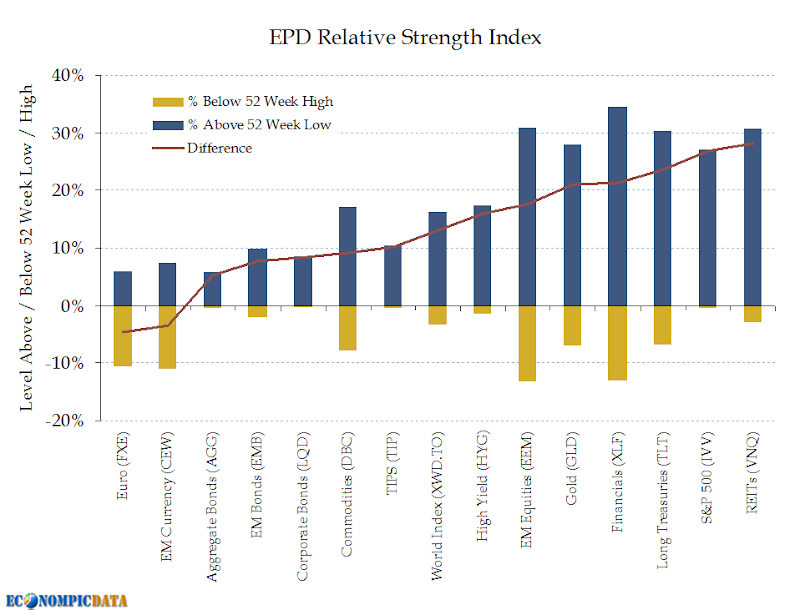 Note also the continued strength in long treasuries (remaining third strongest). The reason of course has been the Fed's easy money / quantitative easing that has pushed up asset values despite a lackluster recovery (especially helpful for bank balance sheets). Interesting to note that despite the response (or perhaps because of), the two weakest asset classes above are the Euro and EM currencies, showing that perhaps the massive response was not only helpful, but (a case can be made) required given the slowing economy and gridlock on the fiscal side in Washington. 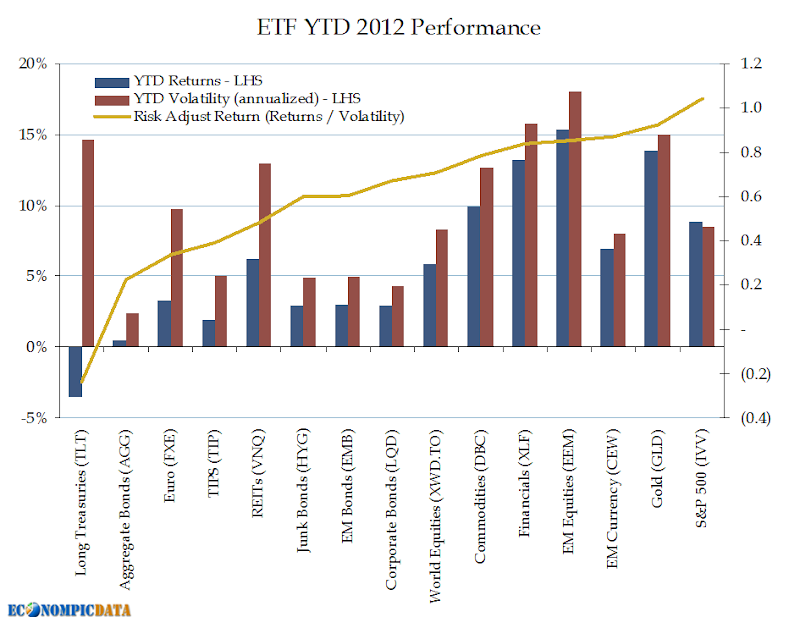 Year to date the strong performance outlined above is even more clear, as can be seen below. Basically, if you haven't made money in 2012 you're doing something wrong. All of the asset classes are up with the exception of Treasuries (and up by a lot, with minimal volatility, and with hardly a draw down across asset classes). Hopefully six months from now I won't be posting an update outlining that this marked a near top.